Rurouni Kenshin to Finally Be Completed? As you might be able to tell, I’m hoping (and believing) that the new animation will complete the story told in the manga. This final arc would follow our protagonist’s confrontation with Enishi, the younger brother of Tomoe, Kenshin’s first love. The manga arc is an amazing read and I highly recommend it. It also contains one of the most heart-palpitating scenes I’ve ever read or seen – one that will shock you, particularly if you’re a fan of the series. I can hardly wait…and hopefully, the wait won’t take forever. Quite exciting. What’s with all the revivals lately? Like Berserk. What a great time to be a fan of awesome anime. Probably all of us have a series or two which we was left incomplete or which had an ending we really disliked and would like to have seen redone. For me, Kenshin tops that list. If the Enishi arc is animated, I can live at peace knowing that the series didn’t end with a horrid false messiah arc and a depressing OVA. Why do you think the OVA (Tsukiokuen?) was depressing? It’s actually a marvelous OVA where it showed Kenshin in a different and more realistic light. I was actually referring to the final OVA, Seisōhen, which, to be fair, I’ve only read about (though extensively) and haven’t seen. Tsuiokuhen, on the other hand, is AMAZING. I love those OVAs. In fact, on my short list of favorites, those OVAs might be at the very top, and I consider them the “best” pieces of anime I’ve ever watched. When you combine those OVAs with the series, the contrast elevates both. Wonderful, wonderful works. When I heard the news, I got super excited. It’s been so long since I watched the series and read the manga, but I do remember Christianity playing a not so minor theme. That was super neat, especially because we see Shinto and Buddhism much much more often in anime, so it was a refreshing theme. Rurouni Kenshin was definitely not a series that shied away from religion. I’d have to rewatch the third season (and I’m apt not to), but I think the reference to the False Prophet arc may have been to Japan’s Hidden Christians. I hope the anime gets a proper ending this time around. The manga was so much better than the anime, as you said. I do think this might be a reboot of the whole series and then ending with the Jinchuu arc. They want to appeal to a new generation of fans, right? In any case, let’s see what happens! Terrific post – Saito’s my favorite character for the series as well. I really liked your connection between him and Elliot Ness, a favorite historical figure of mine! Yeah, there’s rumors about a reboot – not sure if there’s anything to them. I would certainly welcome it, because, like you said, it would bring in a whole new generation of fans to this terrific series. But really, I don’t care what’s done, as long as it ends properly!! Thanks! I agree. I just want the series to end properly as well, since I followed the manga after watching some of the anime. I’m like you – I started with the anime before going to the manga. I really hope for a proper ending as well – it feels like it just isn’t “right” for the anime to end on the sorry note that it did. Yeah, the OVA doesn’t cut it. Seriously. Is this really true?! I’m hoping with all my heart that this isn’t some dumb rumour or an empty promise. Rurouni Kenshin is without doubt one of the best (yet sadly underrated) animes to ever grace our screens. A revival of the series is indeed wonderful news. 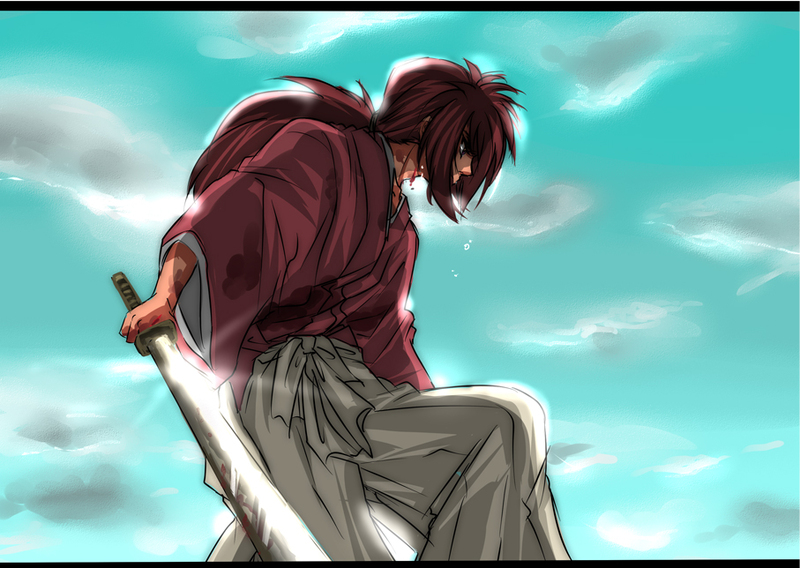 It’s confirmed and definitely true that some sort of anime project relating to Kenshin is in pre-production – YAY! What it’ll be…that we don’t know yet. What was so bad about the third season? Specifically, the main arc was boring, with uninteresting antagonists and other characters. It connected poorly to the rest of the series and the tone was quite preachy (even Kenshin himself preaches about tolerance and religion). It was so boring that I barely made it through the arc, and at the time, Rurouni Kenshin was possibly my favorite anime. The poor quality of the arc was emphasized by the awesomeness of the previous Kyoto Arc – kind of like eating a plain ol’ sandwich after having a kingly feast. The evidence of its poor quality was seen in what happened after the arc aired – namely, nothing. Although this is unreferenced (aka I read this long ago and can’t verify whether its true or not), the season was apparently so poorly received that the show was basically canceled – the final manga arc, which is quite good, was never animated (until now, MAYBE). Gosh, yes, I’d love to see them animate it. And who knows, maybe it’ll happen, particularly in light of the new OVAs and feature film. And you’re absolutely right about all those themes. And Kenshin and Kaoru are among my favorite couples also – there’s a lot of love expressed there, even if much of it is left unsaid. How can an individual like my self participate in funding the continue of the series? I’m thinking of buying a some of the animes action figures would that help? Becides the post is from 2011 so any luck on still getting the series back.